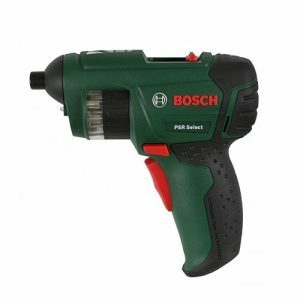 Cordless screwdrivers are essentially drills which allow the quick and easy insertion of screws into a workpiece. Much faster and more accurate than traditional screwdrivers, cordless drivers are an absolute necessity for every woodworker. Screwdrivers are used simply to drive in screws. There are many different types of screws, screw heads and screw types available. For every screw there is a screwdriver. 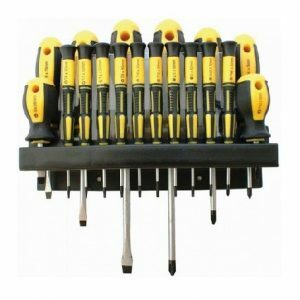 Sets generally carry a range of screwdrivers for most screws. 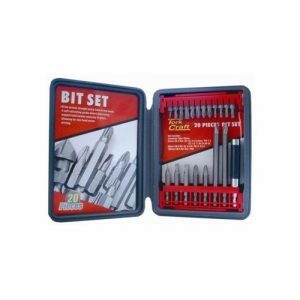 Driver bits are used in conjunction with a cordless driver or drill. There are many different styles available depending on the screws you need to drive.